As the heart of the Garden City and Milpitas Sanitation Inc, the Garden City Clerical Unit is responsible for the accounts and is the forefront of customer service as they answer any questions or concerns that customers may have. 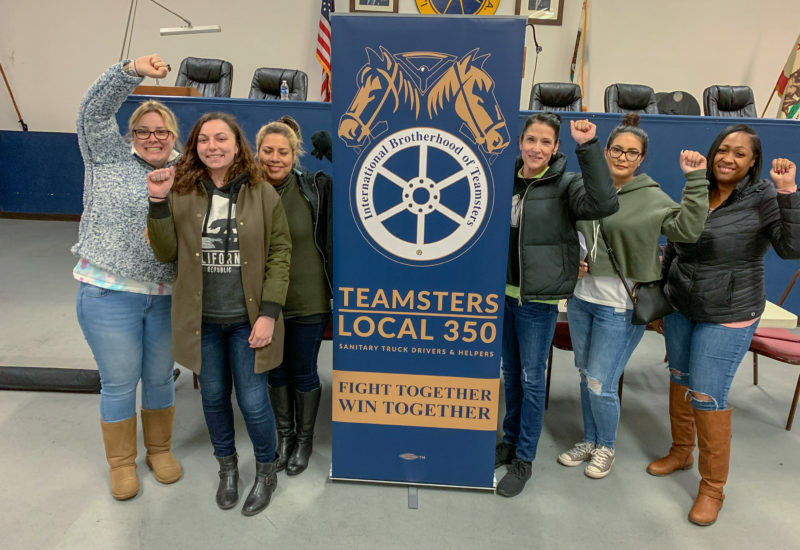 After months of negotiations, the hard-working clerical unit at Garden City voted unanimously to ratify a new 5-year contract that will raise wages, protect the employees, and reward them for the hard work they achieve on a daily basis. Teamsters Local 350 President and Field Representative for the Solid Waste Division, Larry Daugherty, was at the helm of the negotiation process for the 9-member unit. During the initial proposal meeting, the unit made it clear that wages increases, pension increases and most importantly, protection from the company, needed to be addressed. Brother Daugherty says that in concluding the negotiations, “We were able to get over $7.00 in wage increases, $2.70 in pension increases, full Maintenance of Benefits for their Teamster insurance and included strong contract language that protects our members’ rights over the 5-year contract.